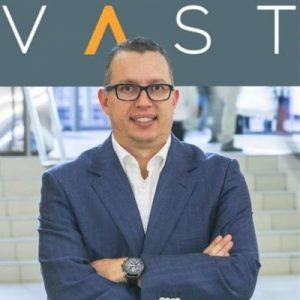 Grant Marais joined VAST Networks as its CEO in May 2015. His journey in the telecommunications industry began when he joined Simba Telecom in 2003 as the Chief Commercial Officer for Uganda in. He then moved to Nokia in 2005, to become the General Manager: Southern Africa and Indian Ocean Islands and in 2009, the General Manager of Sales: Pan, Middle East and Africa and Commonwealth of Independent States. After leaving Nokia, he joined global satellite provider, Intelsat, where he served as Regional Vice President – Africa for more than two years. Grant’s exposure to different businesses in the telecommunications value chain contributed to his in-depth and diversified global, telecommunications knowledge. He has a proven track record of leading cross functional teams in various countries in both turn-around and high growth environments. He is also on the board of Mindset Network, a non-profit educational broadcaster. Grant is an alumnus of the Wharton Business School where he graduated with a Degree in Management & Leadership.